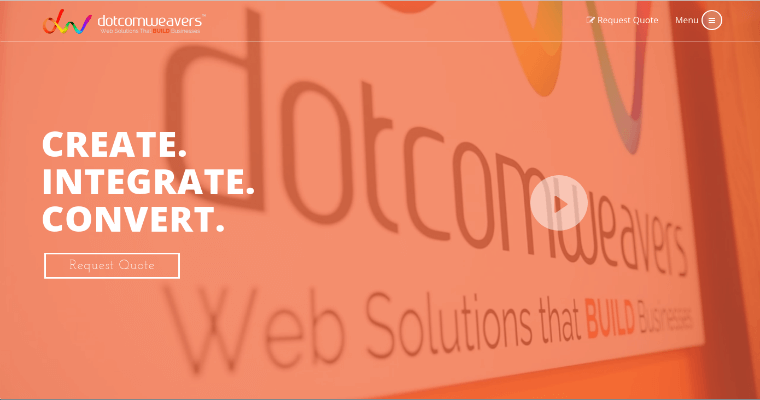 Dotcomweavers provides web development services for clients around the globe, and they specialize in using the latest development techniques to deliver websites built for the long term. 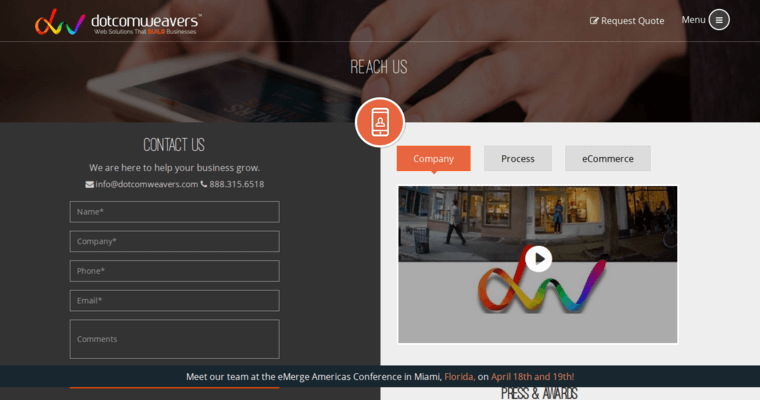 They also provide a number of addition services to help their clients' websites succeed. The Internet has changed over the years, and Dotcomweavers knows how to target modern web users. Each website they design will function well on mobile devices, which are becoming some of the most popular devices being used to access the Internet. Their websites are designed using responsive web paradigms, which ensures compatibility with new types of devices that might hit the market. 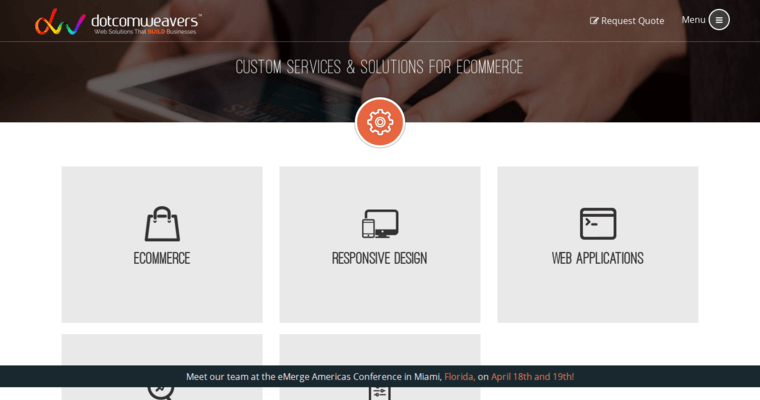 Dotcomweavers relies on in-house graphic designers to create graphical elements that will impress visitors, and their developers write maintainable code that can be adjusted in the future if necessary. If their clients want help with eCommerce and search engine optimization, Dotcomweavers can help.